Have some guests coming over at your home this weekend and probably wondering what snacks to prepare for them? No, you don’t have to scurry to the local mithai shop and buy samosas for them. Here is an easy, mouth-watering and healthy (yes, all three) recipe that will come to your rescue! 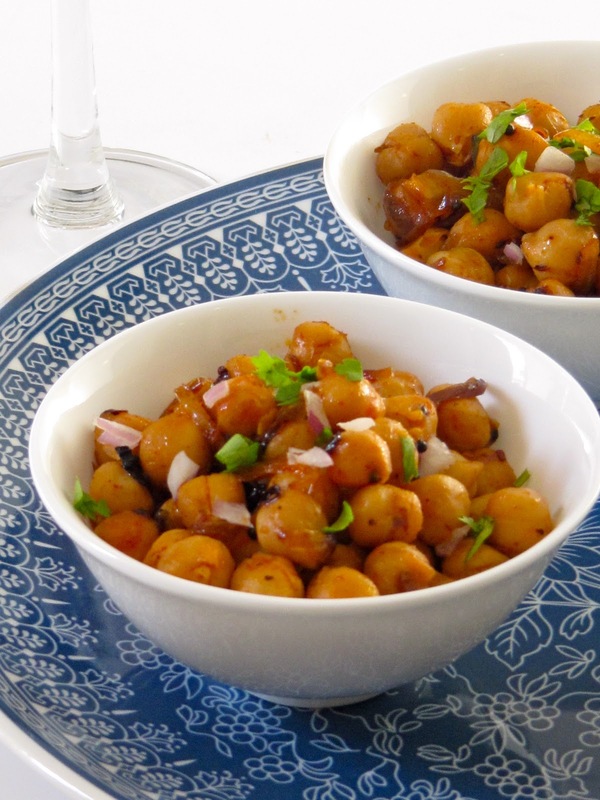 Soak Kabuli Chana in water for 12-14 hours. Strain the water and boil the soaked chana in a pressure cooker for 10 mins or till properly cooked. In the meantime, boil the potatoes, peel off the skin and mash them. Add the mashed potatoes in the chana and keep aside. In a cooking pan, heat the oil and add all the spices. Stir and cook for a minute on a low flame. Now add the chana in this masala mixture along with 1 cup of water and some chopped coriander. Stir for a couple of minutes on a medium flame. Garnish with chopped onions and coriander. 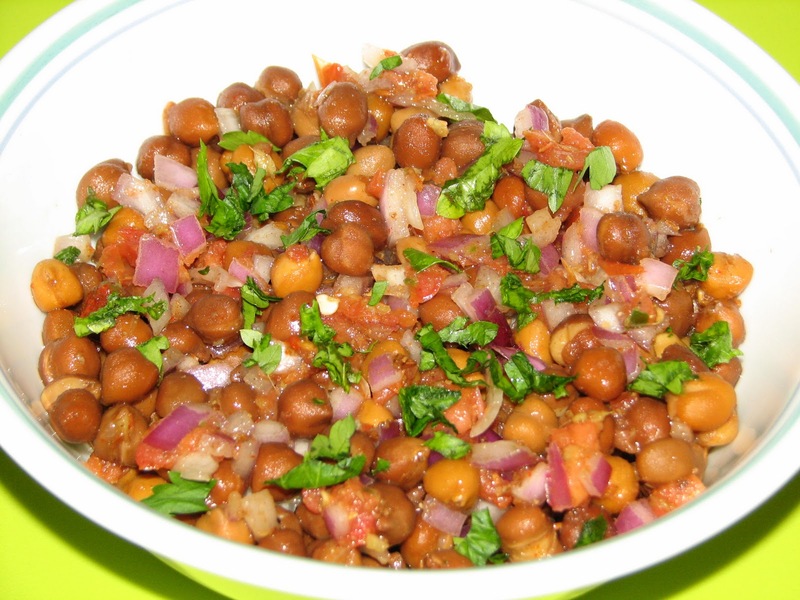 Your home-made chana chaat is ready! Now, when your guests praise you about how delicious this dish is, you know where to direct them!